Sylvia Pinto Souza will be here for the closing reception for her gorgeous exhibition, on Saturday August 30th, from 4-8. 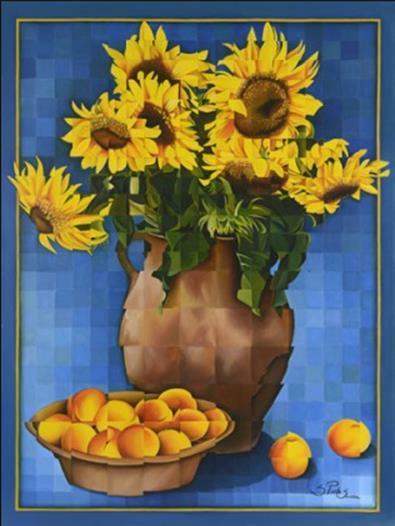 We have a visual treat in the gallery that "relates" to her wonderful mosaic paintings. Come and meet her and see the secret. You will be amazed.